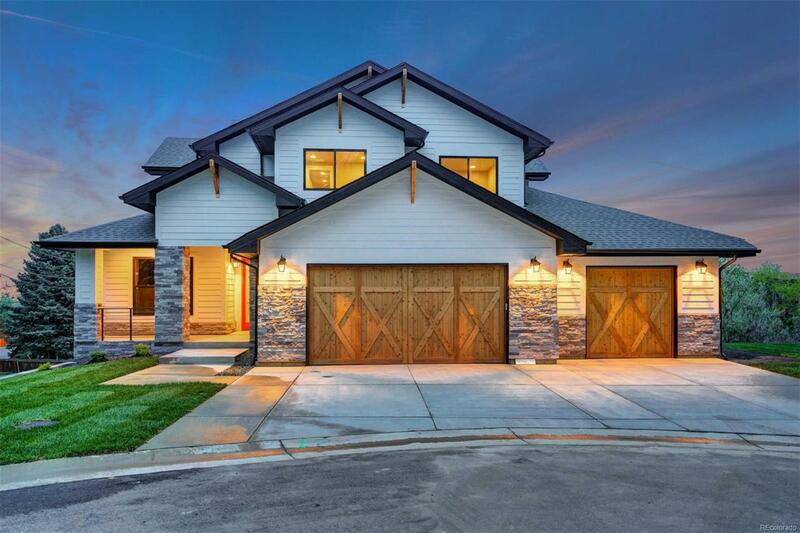 Impressive NEW Custom Home in Applewood Mesa With A One of A Kind Location...On The Mesa With Mtn. & City Views. Top of the Line Finishes Throughout The Open Floor Plan. Gourmet Kitchen with Expansive Slab Quartz Tops and Waterfall Finish at Island. Custom, Professionally Designed Cabinetry, Double Ovens, Induction Cooktop, Hood, Built-In Microwave and Pantry. Gorgeous Hard Wood Floors Throughout Main Level, Floor to Ceiling Tile Surround Built-In Gas Fireplace As The Focal Point. Spacious Master Suite With Private Balcony Overlooking all of Applewood East into City Lights of Denver. Exquisite 5-Piece Master Bath with Quartz Top, Custom Built Euro Style Frameless Shower, Giant Walk-in Closet with Custom Rod and Shelving. Spacious Second and Third Bedrooms on Upper Level Feature Mtn. Views. The Finished Walk-out Basement, Including and A Bedroom and Bathroom. A Rare Opportunity to Find a NEW, 2018 Built, Walk-out 2-Story Home in Applewood Mesa! Offered by Colorado Land Professionals Llc.